After the Townshend Acts of 1767, British troops were sent to the colonies to enforce the high taxes imposed by the acts. The troops first appeared in Massachusetts during October, 1768. 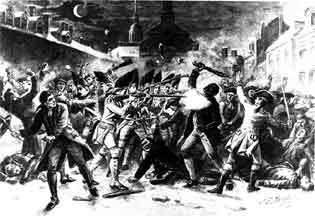 The colonists did not react well to the soldiers' presence, and riots broke out. It was common for a few American Patriots, as they called themselves, and a small group of soldiers to begin a fist fight in back alleys and taverns. During this time, many Americans began using the phrase "No taxation without representation." The colonists tried to stop the soldiers from carrying out their duties, and even went as far as to throw things at the soldiers. One snowy night on the steps of the Costumes House in Boston, a British sentry stood guard. On March 5, 1770, a wig maker's apprentice began harassing the British sentry about an unpaid bill to the master wig maker. The apprentice's yelling started to attract a crowd of Patriots. More troops came to support the sentry, who claimed to have paid the bill a few days previously. The Patriots began to throw snow, rocks, and insults. The crowd grew and the soldiers' commander tried to get his men to back off. Letters from first-hand witnesses say he even stood between the colonists and his men, and was telling them not to fire. There is a great deal of controversy over why his men didn't follow the order, but one soldier started to shoot and the others soon followed. After the violence stopped, five men lay dying or fatally wounded. Another six had been shot, but had a high likelihood of living. Crispus Attucks, Patrick Carr, Samuel Gray, Samuel Maverick, and James Caldwell died, three on the spot, and two a few days later. Crispus Attucks was considered the first African American martyr of the American Revolution. 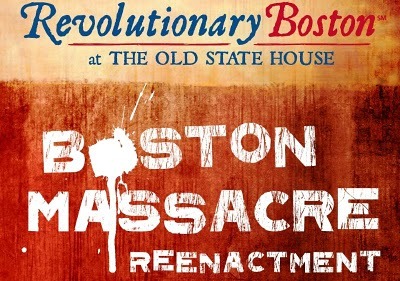 Paul Revere used the massacre for propaganda. He used it as proof that the British government was trying to “Quell a spirit of Liberty.” Revere also copied a painting by Henry Pelham, but made some serious changes. In Revere’s engraving, the sky is a cloudless blue. The only hint of it being night is the crescent moon in the top left corner of the picture. It also shows Captain Preston ordering his men to fire, rather than trying to stop the confrontation. Lastly, it does not show Crispus Attucks as a man of color, but rather as a white man. 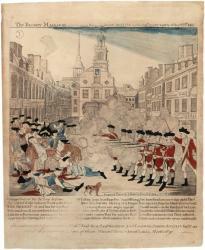 This engraving caused a great deal of controversy over the massacre. The trial for the massacre started on November 27, 1770. Eight British soldiers were initially convicted, but lawyer and future president John Adams convinced the jury that the soldiers lives were endangered by the colonist mob. The jury then acquitted six of the soldiers, and they were given a reduced sentence. However, the other two soldiers were still convicted of manslaughter because of the huge amount of evidence that they had fired directly into the crowd. One officer and four civilians were also convicted of shooting. 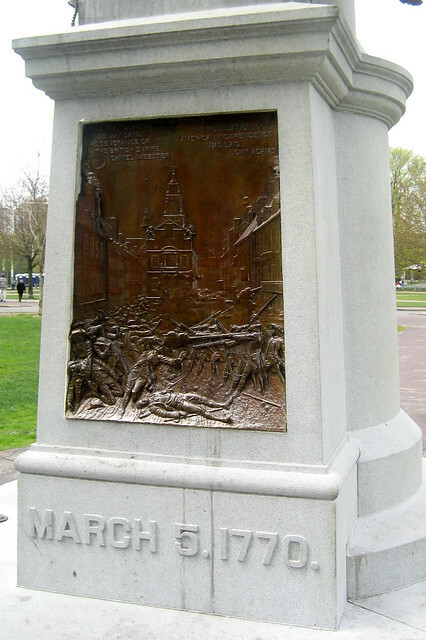 Today, people still commemorate the Boston Massacre with monuments, ceremonies, and reenactments. In these reenactments, people throw mostly snowballs, or they purposely miss with any thrown objects. The “British soldiers” shoot only blanks, and no one gets hurt. The reenactment is done annually on March 5, and is overseen by the Bostonian Society. 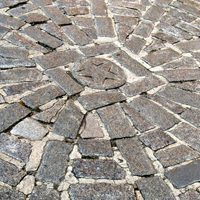 The site of the massacre, the old state house, and the Granary Burying Ground, (where the victims were buried) are all a part of Boston’s Freedom Trail.